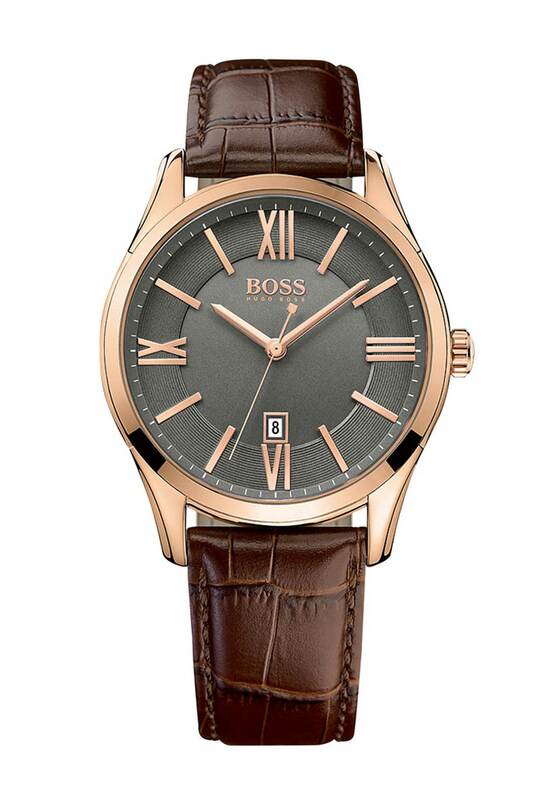 Sleek and sophisticated, this watch from Hugo Boss will never go out of style making it a great gift for someone special. Featuring a brown leather strap with embossed crocodile print. 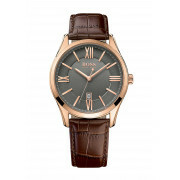 The gold round case has a stylish grey face which has rose gold Roman numeral hour markers, three hands and a date window.